In South Africa we traditionally had very specific gender expectations and prescriptions for mothers. These prescriptions were often linked to and reinforced by religious ideas regarding gender roles within marriages. Men were seen as the head of the home and rightful breadwinners of the family, whilst mothers were supposed to be the homemakers/nurturers and the secondary (if at all) breadwinners. A pious mother was one who selfishly sacrificed herself for her family and preferably doing the sacrifice in such a way that no one will notice. Neither was she supposed to expect any recognition for her sacrificial serving of her family and community – thus a “exemplary” mother was subservient, soft-spoken and sacrificial. These ideas have been internalised by most of the South African societies and many men and women still define motherhood and a mother’s morality in terms of her willingness and ability to be a homemaker. Thus to create a home which is inviting, cook wholesome food, bake wonderful treats, take care and be omnipresent in the lives of her children. She needs to be unconditionally supportive of her husband and be available to her greater family, circle of friend homely and the greater community. A noble idea, but to my mind a very tall order! Mother’s day cards often sing the praises of women in terms of fulfilling roles of serving, unselfish care for others and always being strong, available and cheerful. Yet mothers are not honoured for taking care of themselves. They are not honoured for developing themselves as separate beings – outside the roles of mothers and wives. They are not honoured for setting boundaries that will ensure their own well-being and happiness. What message do we send to women (mothers) if we continue to only focus on and honour the traditional roles of mothers on Mother’s day? Therefore I would like to invite you to honour your mothers (biological or other) this Mother’s day in different ways. Honour her for her ambition, for the example to create financial independence for herself, for being wise and taking time out when she needs it, for defining herself as so much more than just someone’s wife, mother or daughter. This year I would like to honour my mom for always insisting on her right to have her autonomous and independent political views, even if it differed greatly from my dad’s. This caused many disagreements in our home, but now, as an adult, I can appreciate it. I would also like to express my appreciation for my husband’s mother. She raised a man with ideas that are outside the conventional traditional gender ideas. This is no small feat especially if one considers the time and socio-cultural and political context in which she raised her children. I honour these two mothers for their belief that there must be different and more life-giving ways than what the norm prescribed in their time. 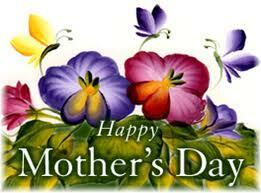 Please share with me what unconventional and non-traditional ways of your mother you would like to honor. This entry was posted in gender, Uncategorized and tagged gender, mothers, traditional views by nickispies. Bookmark the permalink. What a wonderful post! My mother has always been everything but traditional, she managed the diary farm while my father drove a truck to keep the family going. Her promotion of my independent development helps me to be consciously openminded and live a wonderful life that is not traditional at all, but because of her guidance to do what I believe in, I am now living a full filling life in my way. A great point that you touched on, taking care of yourself as a woman and a mother, my mother is still an amazing example of that. In hardship she uses natural remedies, in good times other products. She always looks great! I am so proud of my mother. It would not be fair if I did not mention my wonderful mother-in-law, she is meticulous and teaches me about the finer things in life. I am truly grateful for her presence in my life. And last, but not least, my grandmothers; My father’s mum is traditional, but points out that she may do things differently being given the opportunity, while my mother’s mum lead by example so that my mother felt free to be herself and voice her opinion, to be true to the woman they are. Dear Melanie, thank you for sharing this beautiful testimony about the women in your life! Thank-you for this Nicki. You are 100% right. Oh my, how conditioned we have become. Thank you for responding Lee. Being aware of the discourses is a start!